While pregnancy is a beautiful miracle, it’s hard to remember that as your body expands and grows in not-so-comfortable ways. So if there’s a woman in your life, preparing for a new and miraculous next phase, there’s a chance she’s feeling a little off and uncomfortable, not to mention totally exhausted. So the best thing you can do for her is to pamper her with relaxation, and every ounce of support you can find. Need some ideas? We hoped you’d ask. When a woman feels like her body is changing faster than she can catch up, she needs to be celebrated for how beautiful she is, no matter how new it all might be. So hire an expert photographer to take some gorgeous photos of her during the most miraculous time of her life. Book Her the Best Massage Ever. Right now, just about every joint and muscle on her body hurts. So give her the gift of either a one day massage or a package where she can be seen weekly. After all, everything in her body is moving and it’s hard for her muscles and bones to keep up! Massage is just the ticket. Oh - and keep a tissue box nearby; this act of kindness will likely bring her to tears! Spa Pedicure With the Works. Every pregnancy comes with it’s own special cravings. So do her a favor and ask her what she’s been craving! Sometimes it’s just that she’s craving sweets, salty foods, oily fatty, or fresh and light. Use this info to call in a personalized order to her favorite restaurant, smoothie bar or bakery to make sure you bring her just what she’s needing and you’ll be the life saver she was waiting for. Buy her a body pillow; it’s honestly one of the best gifts you can give her, as they can be positioned in any way needed for her comfort, whether sleeping, sitting or even laboring! And also, get her a lavender scented container of epsom salts. They work powerfully to relax sore, stiff muscles and will carry her from bath time to dream time in no time at all. A pregnant woman will love and enjoy all of the listed ideas from the bottom of her heart. 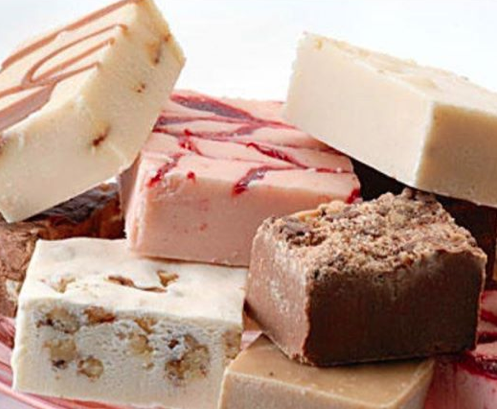 For any other sweet hearted needs, know that Ontario Bakery is your go to stop for custom baked cakes and desserts for just about any occasion. Call today and see what we can do for you! 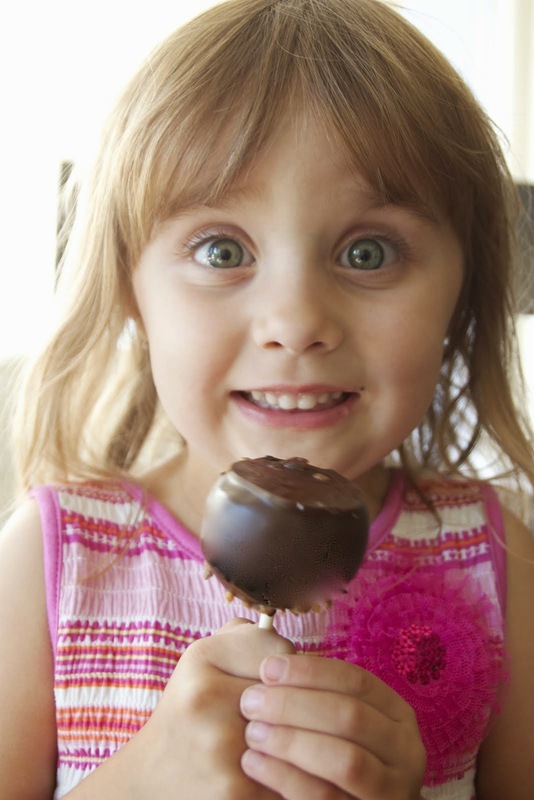 Beat the End of Summer Blues for Kids Heading Back to School! Summer is the best time of year for most kids because they’re busy running free, exploring and basking in the elements of water and sun. So when it’s time for school to start again, they’d like to be anywhere but here. We think one of the best ways to to beat the back to school blues is to transition with celebration. At the end of the school year, you always have a party congratulating the end of another year. But if you started throwing a party welcoming your kids to the next level of living; ages and grades, they’re sure to find it far more exciting! So how do you throw such a party? It’s all really simple actually, you just treat it like a typical graduation or birthday party with a few minor but meaningful twists. First on the list is to figure out where you want to celebrate; do you want to meet somewhere else that hosts parties, at a park or in your own home? This will help you determine how many people you want to invite and all the details that go with that. Some ideas you could use are water parks, family fun centers, indoor trampoline gyms or rock climbing warehouses, where they can do a last hoorah of wildness together, before the true focus starts. Once you’ve decided where you want to meet up, it’s time to put the list of who you want to invite together. Make sure there are at least a few from your child's school, especially from their grade and a grade above them. If you're child is going to be at a new school this year, hurry up and get on some local parent forums, the local neighborhood kids that will be attending or even connect with the school itself to help you find a couple other families to connect with ahead of time. Make your own invites and either mail or hand deliver them. But try to make the party for the week of school or just after it starts. This is especially good timing because you know people will be in town! s the chance to join in as well. Hey, if you're feeling especially brave, do both! 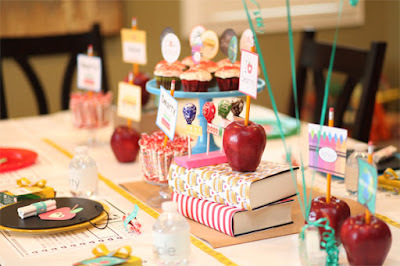 Lastly, this is a party, so make sure there's a cake and even some gifts or party favors to pass around. You could gift each child a journal or a pack of nice pens, art supplies, or even a good fiction book that they can all read together during the school year to take their minds off of the learning. They will really appreciate this. As for the cake, who doesn't appreciate cake? 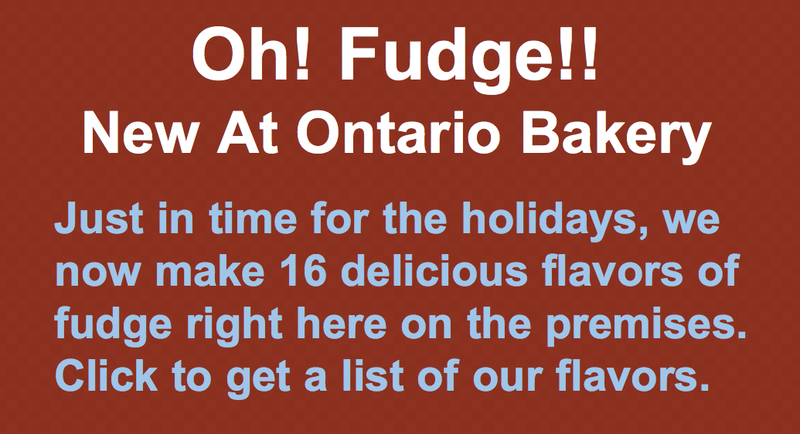 At Ontario Bakery, you can even order yours fully customized. Put all the student names on the cake, or their school, or mascot.. the options are endless and always delicious! Ring in the new school year with fun and celebration, because your child should feel excited about the next phase of their lives, supports and with plenty of sweets along the way! Choosing the right baker can feel like a daunting task when you’ve already got your hands full with other obligations and interests; from the chapel to the reception hall, to the guest list to the dress. Your hands are full. But at the end of the day, the cake is still part of the memories you’re making and you want to make sure it all flows together beautifully. You also want to make sure it’s the least stressful part of the planning and that everything works out smoothly. 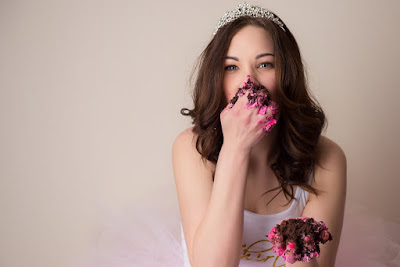 And since this is our area of expertise at Ontario Bakery, we want to share with you the tips we know to make this process the best one you’ve had along the wedding planning adventure. First of all, be sure to ask your friends and family if they have a trusted baker they can recommend to you. 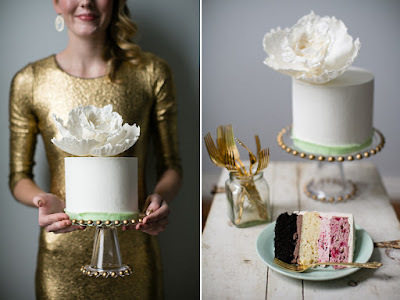 If you’ve recently attended someone else's wedding, and you liked the cake, ask around to see where they ordered from. Just be sure to always go with a baker someone you know personally can recommend. Once you’ve got your list of recommendations, call the bakeries individually and ask if you can taste samples of cakes and icings. You’ll need to decide on the cake flavor, icing in between layers, and outer icing so this is an important appointment to make. As you prepare for these appointments, have a folder ready full of inspirational photographs or pages from bridal magazines to bring with you and share with the cake designer. A picture IS worth a thousand words. So, if you have something in mind already, show the baker a picture. It's easier than trying to explain everything in words. If you have a cake topper picked out already, be sure to bring it with you to the baker. Some cake tops are heavy and may need special consideration or support. The cake topper may look too small or big for the cake you had in mind. The baker can help you with sizing of the top cake. Once you’re there, make sure you ask the the baker any pressing questions you might have including how far in advance they bake the cake and how far in advance they frost it. You want the freshest possible wedding cake, but not a last minute cake either. Another question you want to make sure to ask is if there are special charges for using decor such as pillars, columns, cake tops, flowers on the cake so you’re not surprised by the bill. Lastly, and this one is very important, be sure to get all the details about the setup and delivery options and charges. Don’t skimp here. You don't want to send a friend or relative to pick up your cake! Let the professional baker deliver it and set it up. Follow those guidelines and your cake planning will be both stress free and fun - not to mention delicious! Visit us at Ontatio Bakery if you’ll be wedding in or near Irvine. We have a reputation for delivering exactly what you would expect from the best bakery in the Inland Empire.